Peter Higginson, the founder and group chairman, has over 51 years experience in retailing new and used cars and promises total satisfaction. Global is a family business with Peter managing the Moraira branch while Keiran, his youngest son, is based at Global Car Centre Denia. The Global Torrevieja branch is managed by Alan Finnie and the airport service next to Alicante airport is managed by operations manager Nicole Cockrill who looks after over 6,000 clients' cars. The Global Car Centre services include an airport service at Alicante airport where 6,000 Global clients park at any one time in our long term car park. Global import cars, export cars and deliver anywhere worldwide, specialising in 6 to 9 month old Citroen, Ford, Renault and Mercedes models from 6 years old to brand new. Any new car supplied is tax paid or can be tax free for export sales - with all of the car transfer paperwork taken care of. Global also supply new and used cars to the trade in single units or bulk. Global Car Centre Group are insurance agents for 5 major international companies enabling them to find the best package and price for each customer. Global also supply lease contracts for property owners in Spain at very competitive rates. Any plated car is accepted as part exchange and all major credit cards are welcome or alternatively finance can be arranged with a full money back guarantee if purchased unseen. No-one comes close for total customer and dealer commitment, service, quality, condition and price. 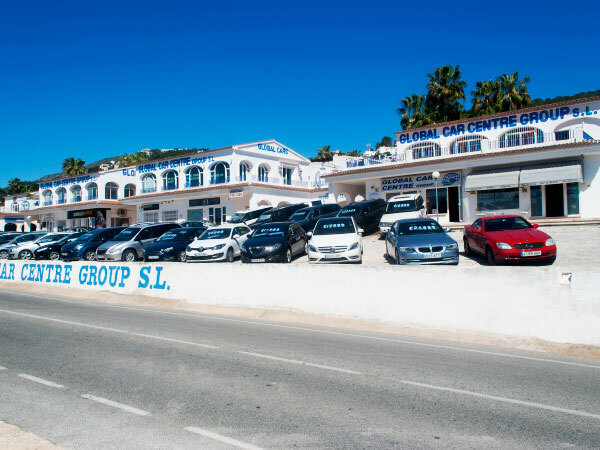 Overall Global are the largest, most competitive car dealer group on the Spanish coast with over 31 years of serving their customers and their feet firmly on the ground. “Global” has become a household name for all your motoring requirements.